Does Joseph Parker Have a Shot Against Anthony Joshua? Briggs Seekins March 27, 2018 Boxing, Headlines No Comments on Does Joseph Parker Have a Shot Against Anthony Joshua? 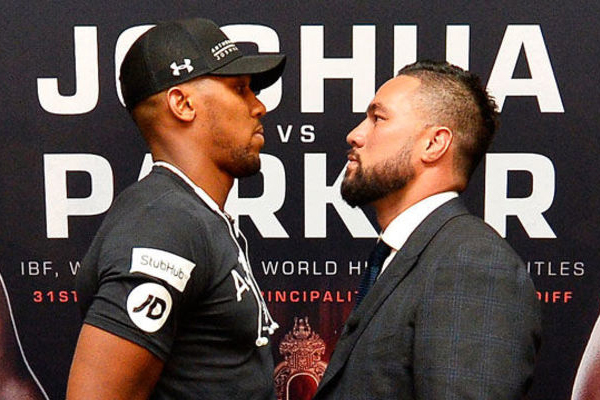 Joseph Parker will be a significant underdog this weekend when he faces Anthony Joshua. It’s understandable. Joshua has been the most impressive heavyweight to emerge in the past decade. He won a gold medal at the 2012 Olympics and has gone 20-0 with 20 KOs since turning professional. The only time he has struggled in the professional ring was against Wladimir Klitschko–a future Hall of Famer. Even in that case, Joshua showed tremendous heart, climbing off from the canvas in Round 6 and struggling back into the fight, to ultimately stop Klitschko in Round 11. Ultimately, the fight was a classic. It was the kind of win that legends are built upon. Against respectable contenders like Dominic Breazeale, Dillian Whyte, Eric Molina and Carlos Takam, Joshua has been thoroughly dominant. Parker is undefeated as well–he is 24-0 and has stopped an impressive 75 percent of his opponents. But he has looked far less impressive than Joshua against other contenders–he struggled to edge Hughie Fury and Andy Ruiz by majority decision. His win over Takam was a competitive bout, while Joshua beat him in every round before knocking him out in the 10th. But it is a mistake to completely right off Parker’s chances in this fight. He is a rugged, experienced belt holder with very quick hands and dangerous power. He deserves to be an underdog. But he has the tools to make this a tough fight for Joshua. To do so, he is going to have to find a way to force the fight into close range and then force Joshua onto his back foot–the one place the big Brit has not looked particularly impressive. If Parker can force Joshua backward and string together crisp, multi-punch combinations, he will be able to put Joshua in danger. It’s not likely he will be able to do this. Joshua has the better length, better footwork and a better jab. Still, if Parker wins, it will hardly be the biggest upset in division history.